You Will Have Visitors – And not just a line of trick-or-treaters! The holidays are approaching. Family and friends will be stopping by whether it’s expected or not, and the appearance of your home is one of the first things your loved ones will notice. We all have a long to-do list as the colder months roll around, but we can’t forget about yardwork and maintenance. A fall clean-up is beneficial, not only to the health of your lawn, plants, and landscape, but a proper clean-up will also provide you with a sense of pride. After all, entertaining guests is almost inevitable during the holiday months, and even passer-bys cannot help but to look at how other families have decorated. Let J. Michael take some of the stress off your shoulders. It Takes Up Too Much of Your Time! The entire process very can be time-consuming for a homeowner. From purchasing tools and equipment, such as leaf-blowers, rakes, barrels, and everything else you will need, doing the work, to arranging for the removal of debris from your yard, it’s just not worth the hassle. Our customers say they call J. Michael for their fall clean-ups because when they do have time off, they’d rather spend it with their families or tending to their other responsibilities. The J. Michael crews have been working together throughout the season, and have established routines to get the job done quickly and correctly. Our team knows what to look for and how to best prepare your lawn to be put to bed for the winter. We are professional landscapers, who can identify what your landscape needs in order to look great and come back strong in the spring. J. Michael has trained our crews to be detail-oriented and motivated to do high-quality work. 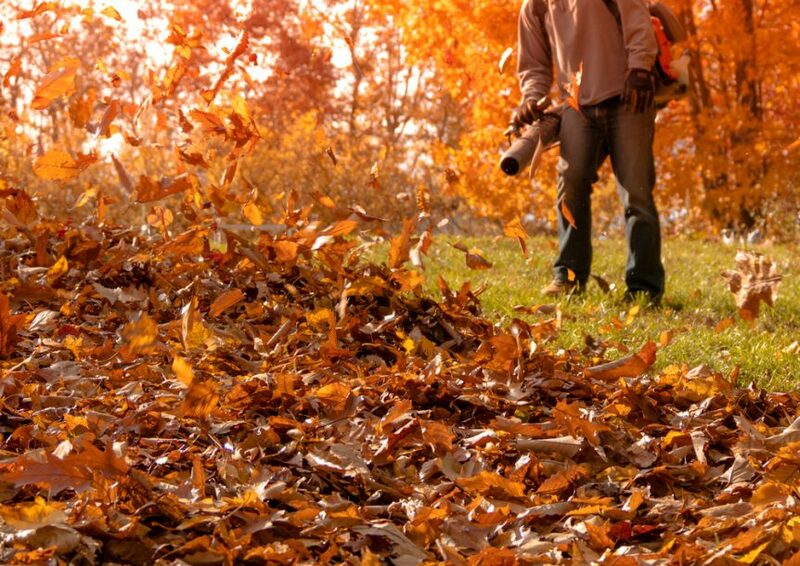 Fall clean-up services can include pruning, mulching, weeding, deadheading, edging, as well as many other services. Fall clean-ups and fall services create a busy season for landscape companies, and we recognize there are several choices for a homeowner on the South Shore. J. Michael is proud to have been serving South Shore communities for over 30 years. Many of our customers come back season after season, because they trust our team and are always pleased with our work. We understand that hiring a crew to work on your property is a decision you take seriously. J. Michael’s crews consist of professional, honest, hard-working individuals who have developed a passion for their work. You can call J. Michael today to set up your free estimate.